When the final buzzer sounded last November in the game that won the Harvard men’s water-polo team its first conference championship—and clinched a spot in the NCAA tournament (another first), where the Crimson would go all the way to the Final Four—there was a giant, jubilant pile-up in the pool. Every player jumped in, splashing and hugging and laughing and cheering. 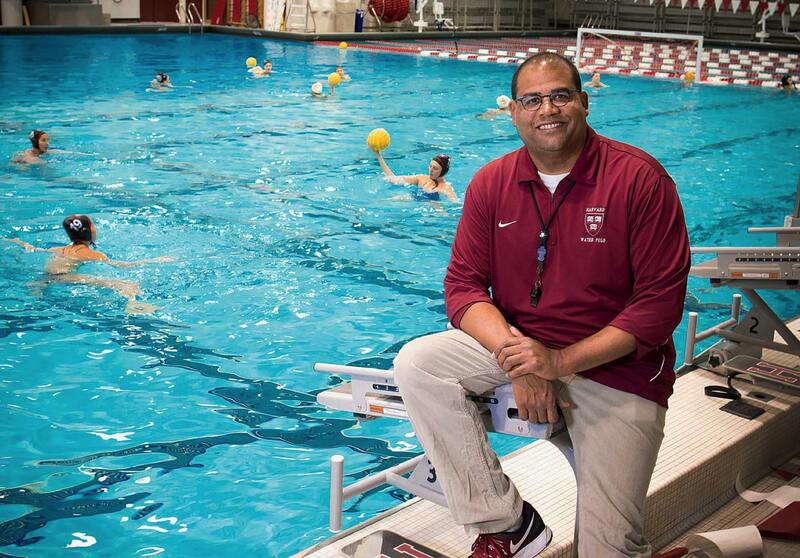 At poolside stood their coach, Ted Minnis, who had arrived at Harvard in 2010 with this very moment in mind. And with plans to build an East Coast powerhouse in this West Coast sport.